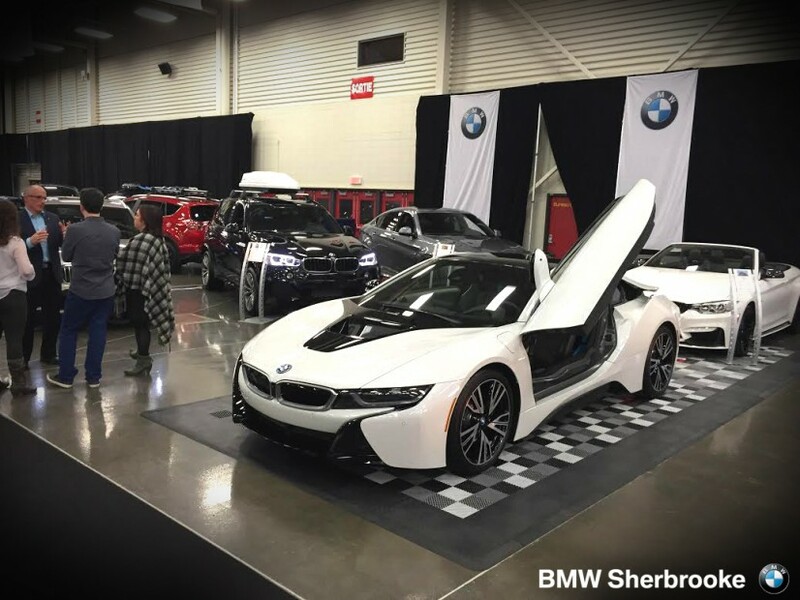 Between February 5th to the 7th was held the very first Sherbrooke Auto Show at the Centre des Foires de Sherbrooke. For the first time, enthusiasts and critics living in the Eastern Townships didn’t have to travel all the way from home to Montreal of Quebec to discover, touch and feel the latest releases in the automotive industry. Indeed, 16 dealerships operating in the Sherbrooke area graciously accepted to lend and expose several enticing vehicles for the occasion. In honor of the region’s first auto show, BMW Sherbrooke’s crew has brought together a fantastic selection of handpicked models as well as exclusive vehicles including the BMW i8, a high-performance hybrid sports car, as well as two outstanding specimens specially flown from Rolls-Royce Motor Cars Québec, in Montreal, a Rolls-Royce Wraith from the collection Inspired by Fashion and a stunning Rolls-Royce Ghost Series II. Considering the event’s success, we can only hope that this event will become an annual meeting rather than a one timer.